Among approximately two million incarcerated people in the United States, fifty percent or more have mental illness. Glowa-Kollisch and colleagues present a well-considered and pragmatically impactful examination of “dual loyalty” concerns for mental health professionals in New York City jails. We appreciate their particular focus on solitary confinement, and their recognition that “many institutions employ health and mental health services expressly to maintain the practice of solitary confinement.” However, we wish to raise two unexamined issues that are crucial to both the context and the implications of their study: first, the historical basis of trans-institutionalization of mentally ill law-breakers, from psychiatric to penal facilities; and second, the ethical complexity of health care provider abstentions in institutions with limited transparency or accountability. The latter issue particularly contrasts with physician abstention from participation in executions, in which procedures are relatively public and judicially reviewed, as opposed to solitary confinement, which remains a product of administrative discretion, exercised largely without supervision or checkpoints. First, regarding trans-institutionalization, we have argued elsewhere that solitary confinement and incarceration of seriously mentally ill people in the United States are not merely an ethical danger zone, but rather are historically inextricable and mutually perpetuated. The past five decades in the United States have seen drastic reductions in psychiatric institutionalization, with concomitantly drastic increases in incarceration. While psychiatric deinstitutionalization was intended, at least nominally, to liberate and empower those suffering from serious mental illness, the promises of 1963’s Community Mental Health Act went unfulfilled. 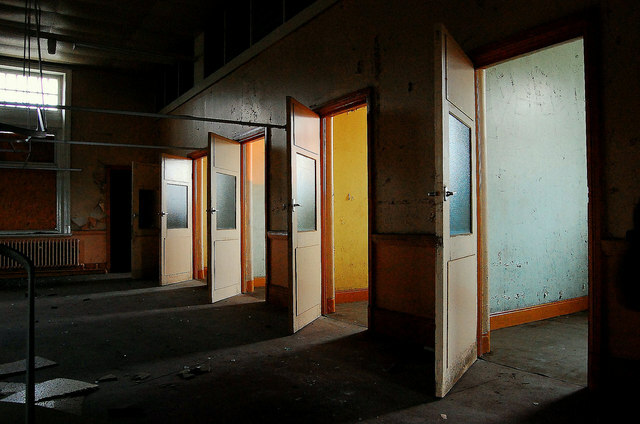 In general, psychiatric hospitals were functionally replaced not by community mental health centers, but by jails, prisons, and homeless shelters. (Full letter with comment). Published originally on July 2, 2015 in Harvard FXB’s Health and Human Rights Journal.